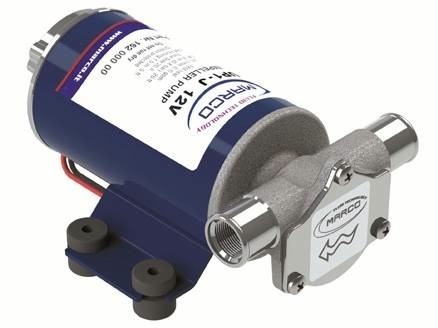 7.4 GPM Self-priming electric pump with flexible rubber impeller. Fitted with water proof cable guide�and internal brush holder with EMI filter. ISO 8846 and ISO 8849. Ideal for bilge�and waste water on any type of boat.